Pursuing a YouTube career requires you to throw the traditional job route out the window. Turns out, thousands of people have already said their goodbyes to a 9 to 5. Many people—youth and adults alike—follow the footsteps of famous YouTubers like Superwoman and Liza Koshy. Maybe the idea of starting a YouTube channel currently floats around in your head but you don’t know how to make a YouTube channel. These 10 tips will teach you how to make a YouTube channel that actually gets views. Running a YouTube channel takes a lot of hard work and dedication. Most people who pursue YouTube for the money or fame don’t make it very far. Don’t choose to make a YouTube channel just because you want to make money—create a personal purpose and meaning behind the content you produce. You need to feel passionate about the videos you film. Otherwise, you will easily tire of the constant work you put into to a channel that grows slowly. “People should start YouTube channels because it is a great way to expresses your ideas or interests to a larger audience. It’s so cool to be able to reach people all around the world and interact with them over common interests. There are endless possibilities of what people can do with Youtube so I feel like it could work for everyone,” said YouTuber and Penn State University junior Hannah Steinauer. If you want to make money from your channel, research the business side of YouTube and think of your channel as a business rather than a hobby. Meaning, you need to think about what to include and to exclude from your videos, how to market your videos, how to grow your target audience and how to expand your brand. People who use their YouTube Channel as a hobby don’t need to think about these things. First, apply for Google Adsense, a program that lets advertisers purchase ad space from Youtuber’s videos. “They would review your account to see if you’re eligible. You have to have clean content with not a lot of cussing or copyrighted music in it,” said YouTuber and Temple junior Tianna Kacey said. Sadly, that’s right; the way to make the most bang for your buck means family-friendly content. If you get three copyright strikes, your account will be terminated. However, don’t go overboard with the ads. “I wish they [YouTubers] would stop advertising random things that aren’t even relevant to their channel, but I understand they do it for revenue,” Temple University sophomore Juhee Patel said. Find YouTubers that do the things you want to do. Use them as your role models and gain inspiration from them. This can help you figure out the next step when running a YouTube channel. You should follow role models in your area of interest on social media and even read books that relate to your interest. Immerse yourself in your area of interest to stay motivated, informed and inspired. Creating amazing videos doesn’t instantly make your channel successful. You need to put your video in front of your target audience’s face. Of course, you want to advertise your videos on all of your social media accounts because it lets your followers know you just uploaded a video. Be sure to put the link to your latest video in all your social media bios. However, you should also familiarize yourself with search engine optimization, a.k.a. SEO. 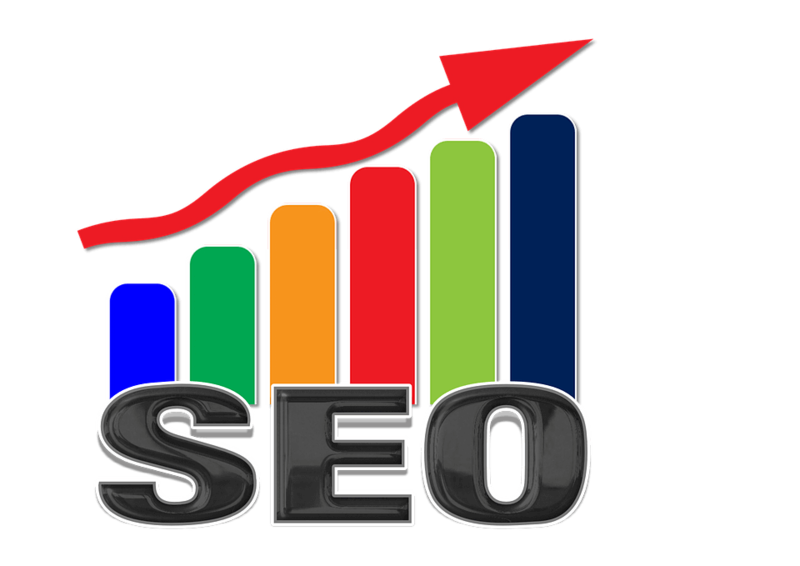 SEO means including keywords with a high search volume to increase the online visibility of your channel. “When you’re about to upload a video, you have to put keywords and if you tag your video really well, people will find your videos,” said Kacey. You can also include high search volume words in the description box of your video, too. Don’t try to make videos that cater to every single person on this planet. It’s impossible. Instead, identify your target audience and cater specifically to them. Deliver the content they need and want. “If I can relate to [a YouTuber’s] content or if it makes me want to click on the next video after watching the first video, I would probably subscribe,” Temple sophomore Kajal Solanki said. For instance, college students always look up videos to help them with their homework. “I would like to see more tutorials on things pertaining to my major. How to solve a calculus or chemistry problem,” Temple sophomore Karalee Rivera said. Stay up to date on what your audience wants and deliver quality content to fulfill that desire or need. Even though you don’t want to base your YouTube channel on the new and hottest trends (for more views, of course), you can use what’s trending on YouTube and incorporate that into your videos. For instance, use the trending video of a Night Skin Care Routine but talk about something that would matter to your specific target audience. Don’t let the trend control you—you control the trend. People judge a book by its cover. Sorry, it’s a fact. This means that you need to make your thumbnail and video title eye catching. “If people see a bright thumbnail with a lot of pictures, they will be more inclined to click on it as opposed to something dull,” Kacey said. Kacey uses Pic Monkey to create eye capturing thumbnails for her videos. Plus, you can get it for free. For your headings, they should have the same effect as your thumbnail. You should make it intriguing while simultaneously avoiding the world of clickbait. First let me say, you do not need fancy equipment to film and edit videos. Big time YouTubers typically use more expensive cameras like the Canon EOS 70D Camera selling for about $800. However, you can find a camera that shoot quality video for way less. For example, Kacey uses a Sonya5000 and Steinauer uses a Sonya5100—these cameras range from $550-$718. iMovie provides all the necessary functions to edit a video for free. “If you want to edit, there’s always ways to do it. Whether you are going to a library, school or your borrowing someone’s’ computer,” Kacey said. Experienced YouTubers use Final Cut Pro to edit, but that costs about $200. iMovie or Windows Live will serve you the best for the beginning stages of your channel. And remember, practice makes perfect. Always remember teamwork makes the dream work. Even though the YouTube of today can seem like a petty competition of who can get the most views, asking to team up with some like-minded YouTubers can really elevate your channel. It presents the perfect opportunity to reach different audiences and direct them to your content. “Collabing can help a channel grow because it introduces you to a new audience. The people you collab with will help cross their viewers over to your channel and vis versa,” Steinauer said. Don’t be afraid to confront YouTubers for a collaboration video. They need the viewership same as you. After all the careful planning, you just need to do it. When starting anything new and uncomfortable, our biggest setbacks are ourselves. We start to second guess our ideas and eventually talk ourselves out of it. Beginner YouTubers struggle with feeling embarrassed. “I wish someone would have told me to not be so embarrassed by it. I started YouTube in ninth grade and did not tell a single soul about my channel until I was in college. There was one time that my sister found out about it, so I actually deleted my channel,” Steinauer said. However, at the end of the day you can’t live your life worried about what other people say about you. “I would say for anyone wanting to start a YouTube channel to just go ahead and do it. Don’t think about what people are going to say. Just go ahead and do it,” Kacey said. Now that you’re an expert on how to create a #bomb channel, follow these steps to become the best YouTuber. Who wants to follow a YouTuber who posts once a year? (No one). The more consistently you upload videos, the more people will watch your videos and follow your channel. Consistency starts with creating a schedule. How many times a week can you film? What days of the week do you want to upload? “It’s important to show your audience that you care and uploading consistently shows them that. Every day we soak in a lot of social media content so it’s important to continuously put yourself out there,” Spelman College sophomore and YouTuber Shea Berry said. Once you create a schedule, sticking to that schedule helps grow you channel. Plus, you satisfy your following while doing it, too. Yes, cliques follow you to YouTube—but don’t worry, there’s more pros than cons. Finding your niche helps you focus on a specific demographic, which in turn helps you zero in on who your channel serves. If your channel covers beauty, what specifically about beauty do you want to cover? Does your channel cover makeup, hair and fashion, or only one form of beauty? If your channel revolves around pranks, what kind of pranks do you do? Are your pranks for teens, adults or an even more specific group? If you find your niche, you can find exactly what direction you want your channel to flow in. Grab every lightbulb in your house ASAP. The right lighting can trick people into thinking your content’s done by a professional. You can purchase relatively cheap lighting on sites like Amazon or you can use multiple flashlights or lamps to create quality lighting. However, the natural light from the sun remains unmatched. Either sit in front of a window or find a way to incorporate natural light into your filming process and one day you can purchase super expensive lights the pros use. “Lighting is the key to having appeasing videos. If your subject can’t be seen, your video is pointless,” Morehouse College sophomore and YouTuber Robert Rucker said. No social media, no gains. The more platforms you post your channel content on, the more people can access your YouTube account. Use Twitter, Facebook, Snapchat and any other social media platform to promote your YouTube channel. Post links to your videos, pictures or your video thumbnails, and clips of your video for you followers to see. The brand you create for yourself should be spread across as many platforms as you can create and keep up with. Dr. Seuss says, “Today you are you, that is truer than true. There is no one alive who is youer than you.” Don’t copy other people in your videos; use your own thoughts and emotions. The more than you act like yourself, the more people will latch on to your genuineness. “No one is you and no one has the same perspective you have to offer. Being yourself offers fresh, new, and creative content that can reach a unique and special audience. It won’t feel like a chore if you are passionate about what you are talking about,” Spelman junior and YouTuber Jessenia Ingram said. Also, if you show the world who your true self, you will attract people who like you and want to support your content. Joy is a junior Journalism major at Temple University. She is the blogger behind www.mymoxieblog.com. She enjoys a good laugh as well as a good cry, writing about mental and emotional health, binge watching romantic comedies.